A few months ago, we decided to have a lemonade stand during our yard sale. The kids were so excited about the idea and eagerly set out their supplies, full of anticipation. However, as cute as they were, it was not a huge success. Through our failed lemonade stand, we learned some helpful tips for having a successful lemonade stand that every parent needs to know. No one is going to know about your lemonade stand if you do not tell them. Make a sign, advertise on social media, and tell everyone. This was one of our biggest problems. By the time I finally put up a picture on Facebook about the lemonade stand, it was later in the day, but it did bring the main sales the kids had. Stock up on supplies at Publix and involve your kids. Before the day of the sale, head to your local grocery store, like Publix for supplies. 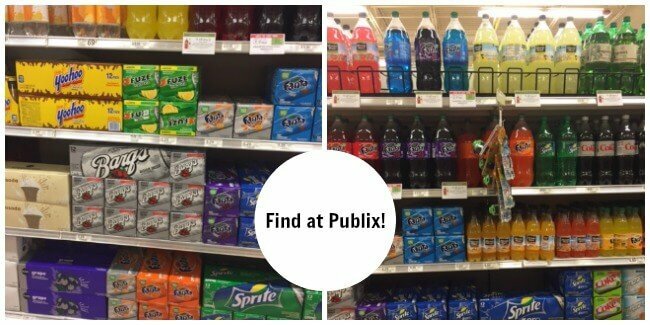 We love how family focused Publix is, so it is naturally the perfect place to start our lemonade stand adventures! The fun grocery carts and friendly atmosphere, makes this the easiest grocery store when out and about with little ones. 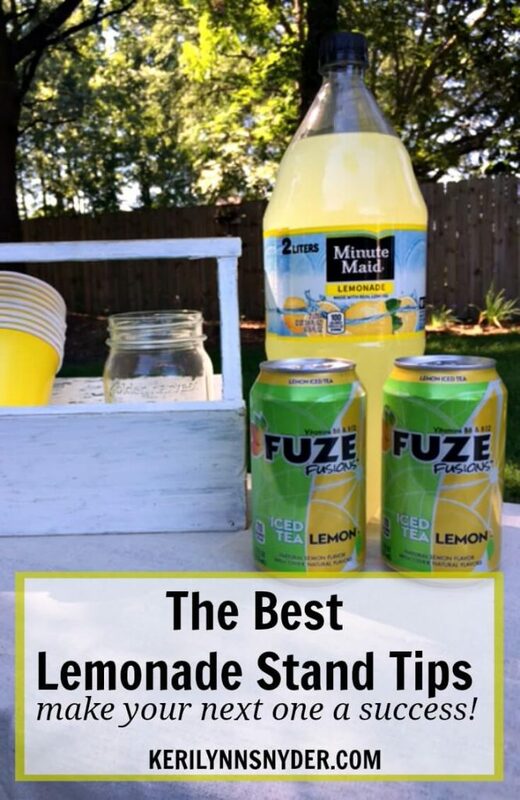 Head to the soda aisle to pick up Minute Maid® Lemonade and FUZE® Ice Tea. 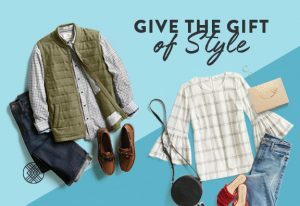 Buy more than you think you will need, because running out mid-sale is not fun. 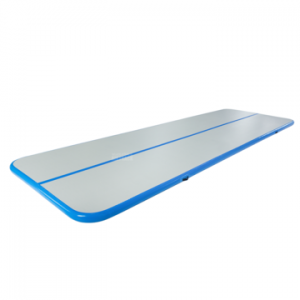 Use a rebate Ibotta to help you save money. Everyone loves a refreshing glass of Minute Maid® Lemonade or FUZE® Ice Tea during a hot day. Refrigerate the lemonade and tea before the sale and keep ice on hand the day of. Set up a stand using what you have at home. 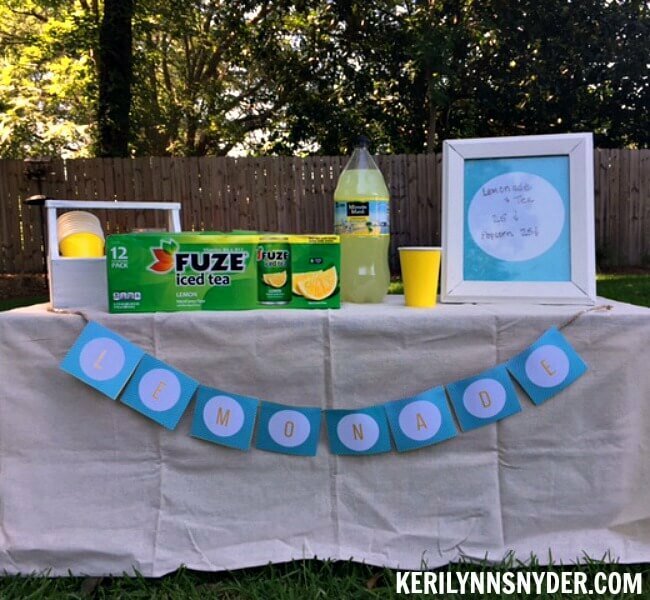 Yes, there are tons of adorable DIY lemonade stands all over Pinterest, but if you are like me, you crave simplicity. Friends, use what you have. Chances are you have the fixings for the perfect lemonade stand right in your own house. Shop your house and put together a cute stand. We used the bench for our table and covered it with a small tablecloth. I grabbed a mason jar to hold change and set it in a white container that usually sits in our entry way. In order for people to see the stand, use a cute banner or sign that will stand out. 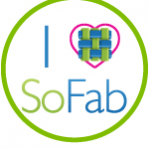 You can make one yourself, or print this one and string it with some string or ribbon. It is super simple and will help everyone see exactly where the lemonade stand is. Instead of just offering lemonade, add in tea and even a salty snack like popcorn. 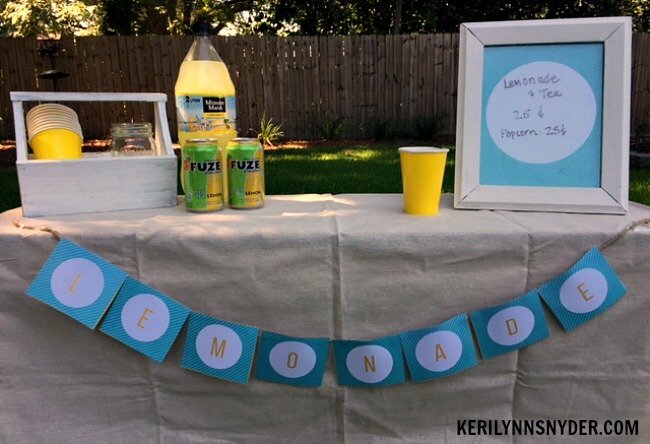 We love having Minute Maid® Lemonade and FUZE® Ice Tea as options for a lemonade stand. Offering options draws in even more people. The 2 Liter bottles of Minute Maid® Lemonade are the perfect size to use in a lemonade stand! 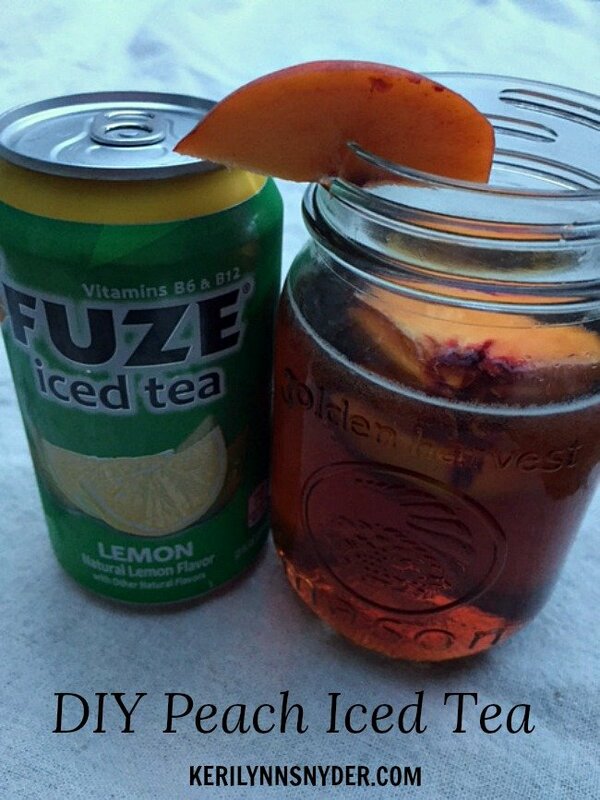 A fun twist to add to FUZE® Ice Tea, is to add some fresh fruit to the glasses. This adds an extra special element to it. 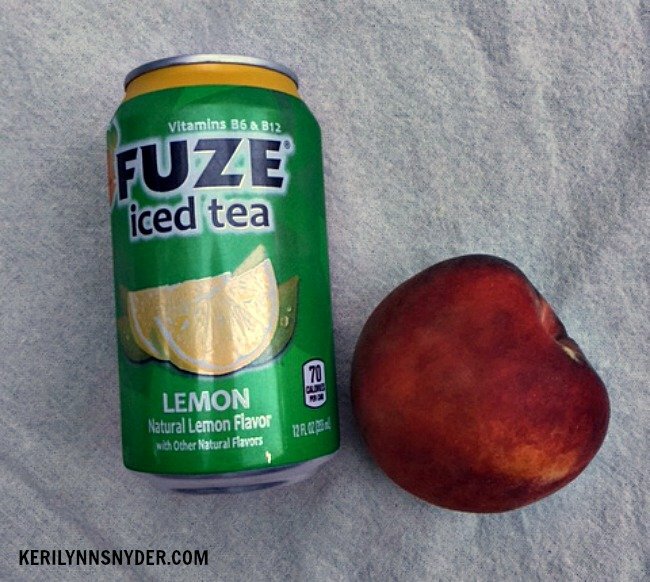 We recently added peach slices to our FUZE® Ice Tea and loved how the flavors combined. 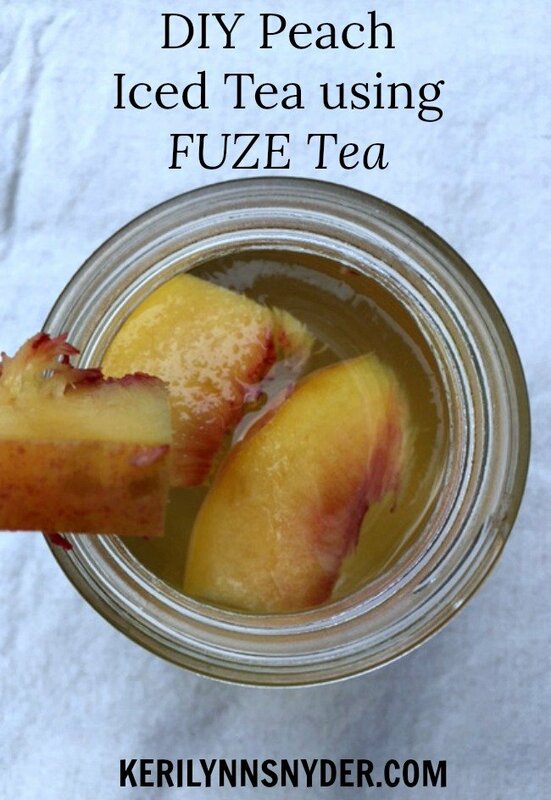 All you have to do is pour your FUZE® Ice Tea into a glass, cut up some fruit, and add it in! Not only does it taste incredible but it also looks so cute! We love to use lemonade stands as a way to raise money for a charity or need. It is such a good way to teach our kids about helping others in a practical way. With a recent lemonade stand, we raised money for Water Mission and it was exciting to see the kids focused on a common goal. What about you? 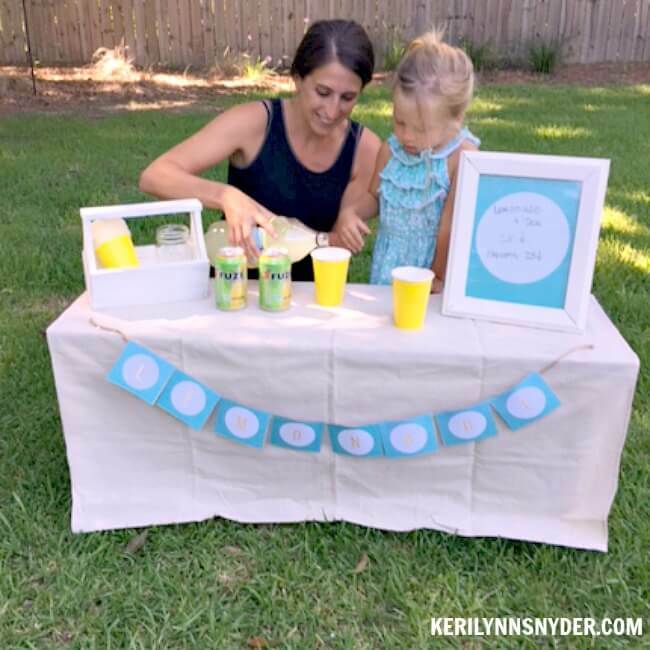 Have you ever hosted a lemonade stand? What tips would you add? I hope you will consider setting up a lemonade stand as summer winds down. It is the perfect activity for a family to do together and teaches kids so many good lessons. Have fun together and remember, no matter what happens with the sale, you are having quality time as a family, which is the most important. If you want to host your own lemonade stand, head over to Publix to pick up your supplies. You can also save $1 when you buy any (2) 2-liters of Minute Maid® Lemonade and/or save $1 on a 12-pack of 12oz cans of FUZE® Ice Tea using an Ibotta rebate. Great tips! Adding the popcorn is genius, and I love that you used the lemonade stand as a teaching lesson about helping others. We’ll have to think about making our own stand before summer is over! Great tips! Love the idea to get the word out, and also love the idea of giving the money to charity! Oh my word, this is so cute. What a great banner you have for the lemonade stand. Sweet that you also donate some of the proceeds, a lovely way to teach young children that we give some of what we make to help others. Thanks Lisa, it really does add an extra fun bonus to the activity! Great tips! I love the idea of adding in some other drinks, and the salty snack. The printable sign is so cute! Yes! It is such a fun time!